Regular simple inventory for retail stores need to be done to confirm current inventory or current stock. Some companies resort to inventory financing just to balance out losses and for the general survival of a business. Retail stores, no matter small or big, contribute to the gross domestic product revenue of a country. This is called inventory investment, wherein the difference between the goods produced and the goods sold is calculated. When applied to a micro scale, the same can be calculated for a business or company. 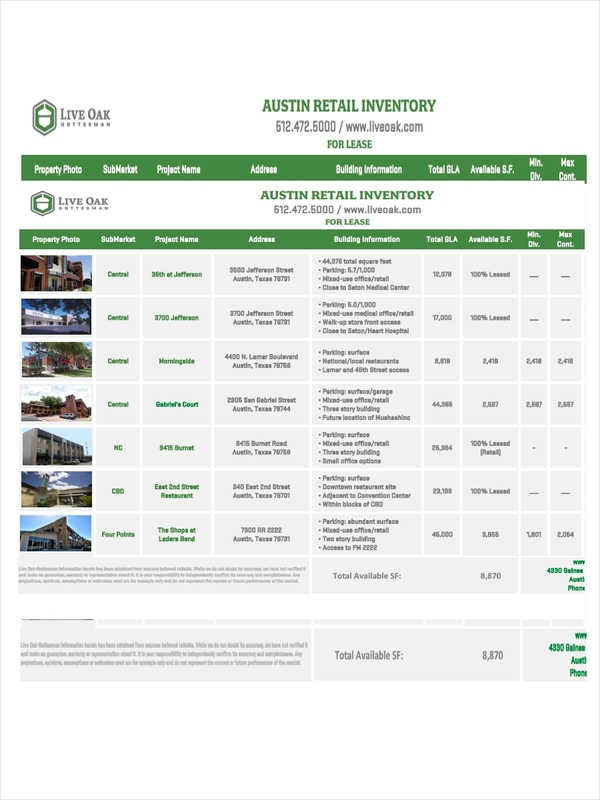 Retail inventory examples are found in the page for further information. Retail inventory is a method used in accounting to estimate the value of a store’s products. 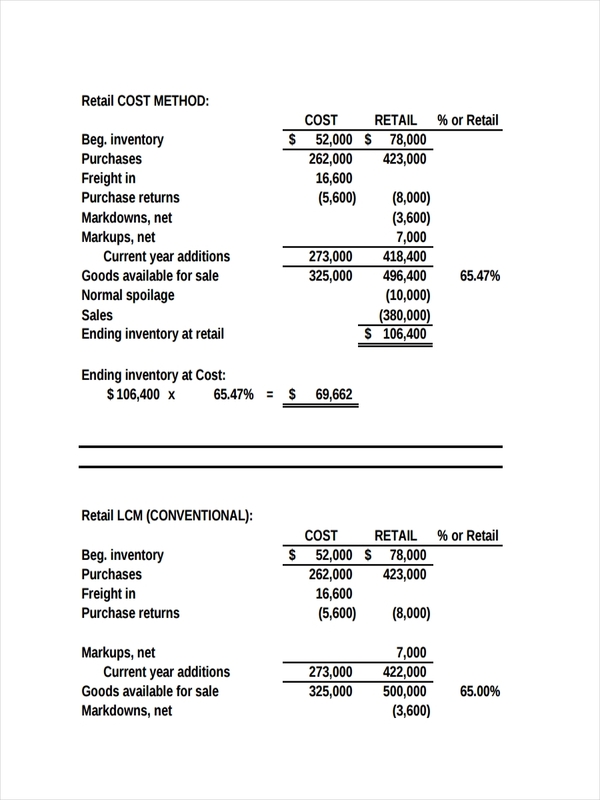 The total inventory value of a store is calculated by the total value of the items in the data inventory and subtracting the total sales then multiplying the dollar amount by the cost to retail ratio. Produce a printed current inventory list. 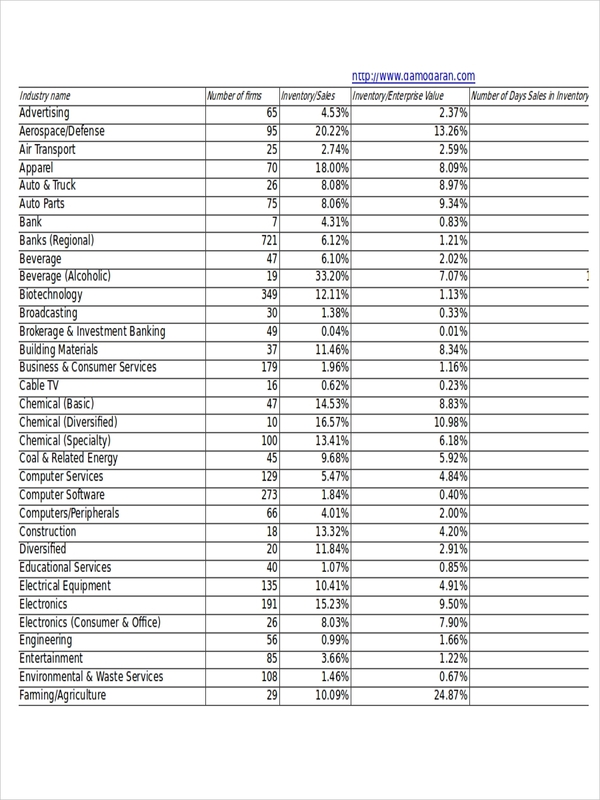 This list has to be generated from your inventory software or any updated record you have. Each employee has to be assigned to a different area of the store. Be thorough in checking the inventory list vs the current stock. Write down the actual number of store inventory items you have. Review any damages or returns that have been made or recorded. Reconcile hand count versus the printed inventory list. Update your system to the actual inventory numbers. 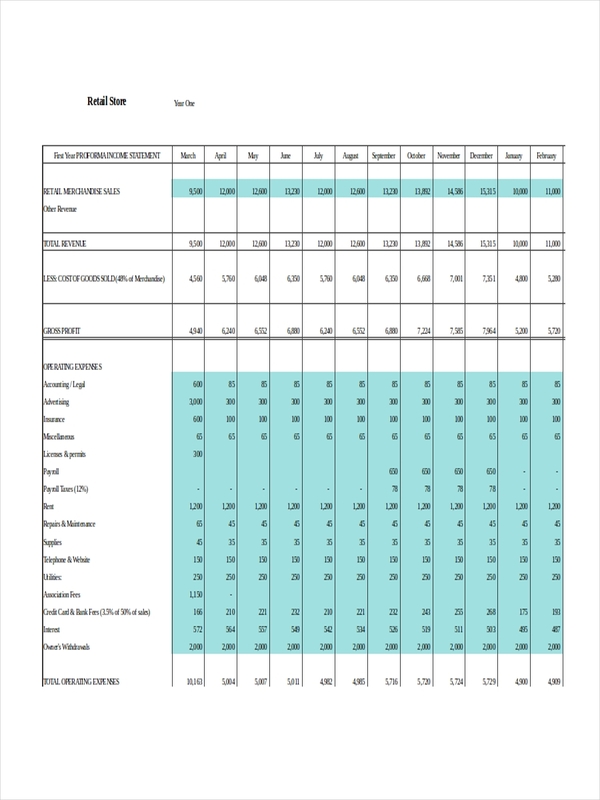 Property inventory can be used as reference for additional information regarding retail inventory. Feel free to have a closer look at the samples on the page by clicking on the download link button below each sample to access the file. Growing your business means spending on additional investments. This is otherwise not possible if your company’s cash is caught up in inventory. Managing your inventory better is therefore a good way to free up additional cash for investments. After having a determined base point of inventory, determine the products that are fast-moving and slow ones. Identification of slow moving products help in discounting of these products so they can be sold and the purchase of the fast-moving items. Items purchased in bulk usually have benefits. Study the advantages along with the costs for these purchases and if the long term costs tied to inventory over stock prevail over the bulk order purchase price. Options in connection to suppliers must be evaluated. Find alternate suppliers and work out terms in between existing ones with consideration to pricing terms and delivery. Exploring additional options may provide a better solution. 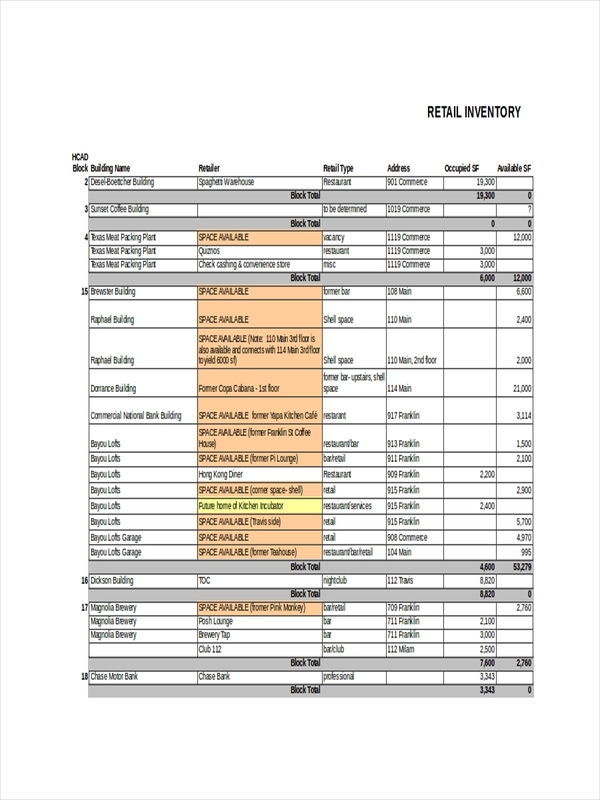 Inventory examples seen on the page are provided for more information regarding an free inventory list and how it is structured. These samples can be downloaded by clicking on the download link button below the sample.